Below are detailed instructions on how to use the license key, which will be emailed to you after completion of your purchase. 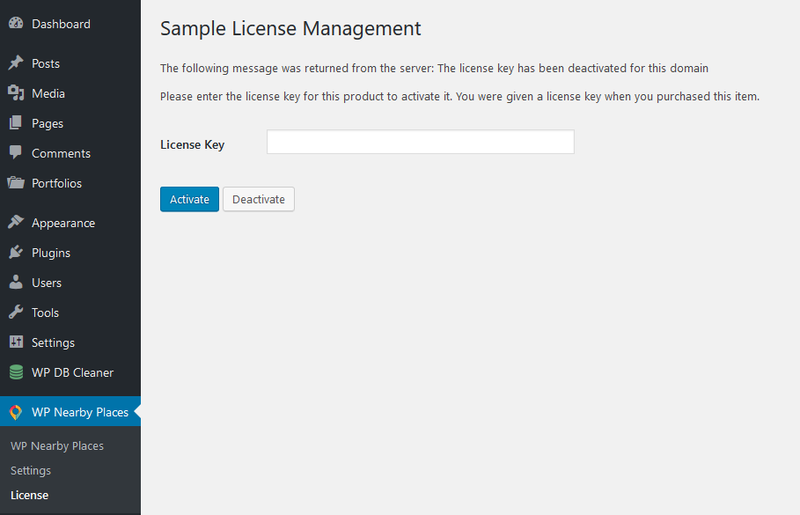 Note: If you did not receive a license key by email after your completed purchase, please contact support. When you install and activate your plugin, you will be asked to enter the license key in order to activate it. 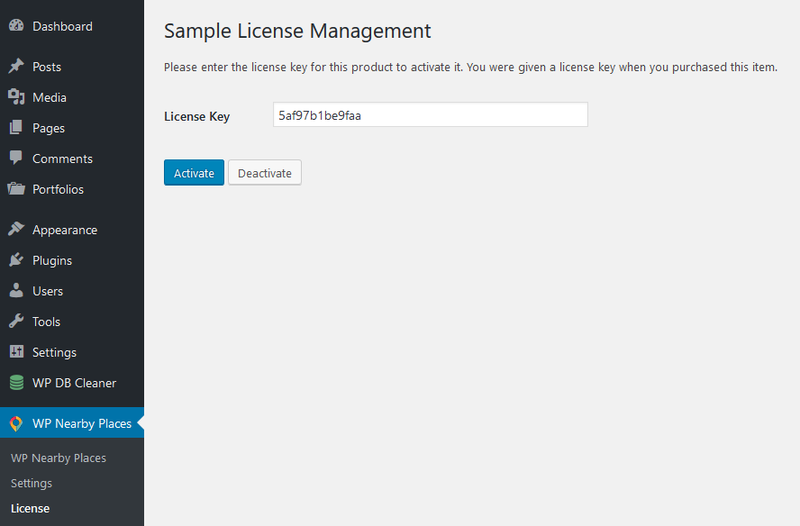 At this stage, you will not be able to use the plugin until you have successfully activated a valid license key. If you have purchased a single site license, if you want to use WP Nearby Places for another website, then you must deactivate the license key from the current website and then you can use this same license key for another website. Until you have deactivated the license key you are moving, it can not be activated on another site. There are license keys available that allow you to use WP Nearby Places on multiple sites. Premium Unlimited allows you to install WP Nearby Places on an unlimited number of websites that you own. Click here to learn more. Premium Agency is a developers license so you can install WP Nearby Places on an unlimited number of client sites, as well as your own. This developers' license also includes all sorts of additional benefits to help you market and sell WP Nearby Places. Click here to learn more. You also have the option to upgrade from your current licensed version to a new license and pay less! Your old license will become unusable when you replace it with an "upgrade" license. Please go here to view these options.